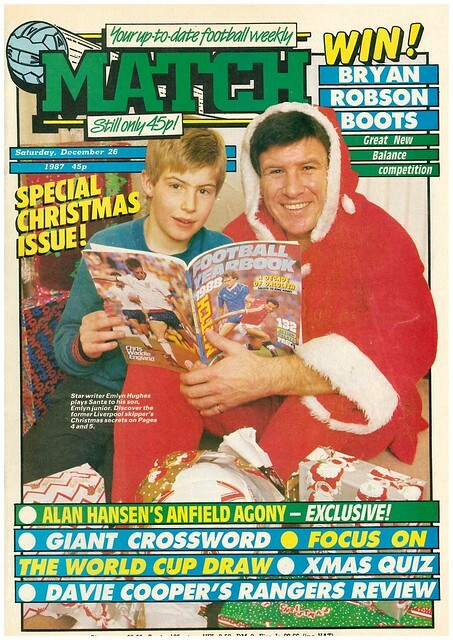 It’s the Christmas edition of Match, and Match columnist Emlyn Hughes is on the cover, dressed as Santa and giving his son Emlyn the 1988 Match Football Yearbook as a present. 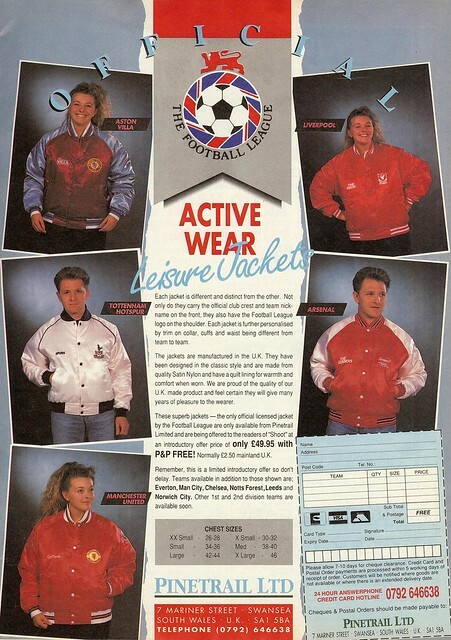 His other child, Emma Lynn, was not on the cover. 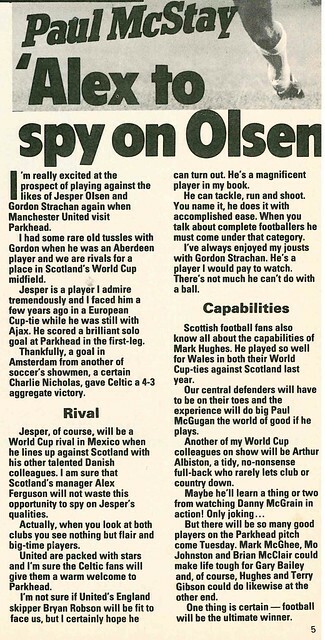 His kids are genuinely called that. 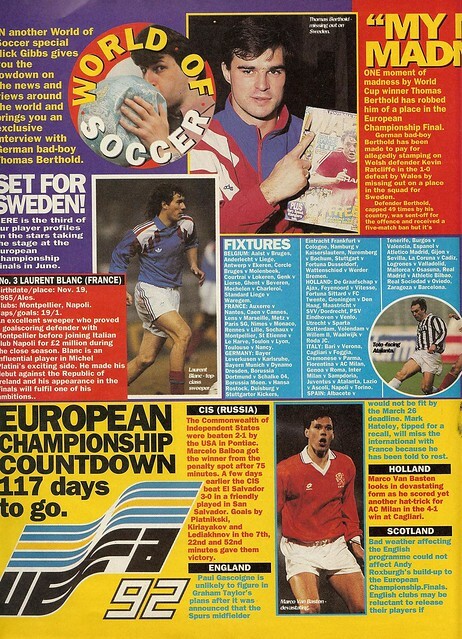 Alan Hansen gets a double page spread has he declares that Liverpool haven’t won anything yet, despite their unbeaten start to the season. 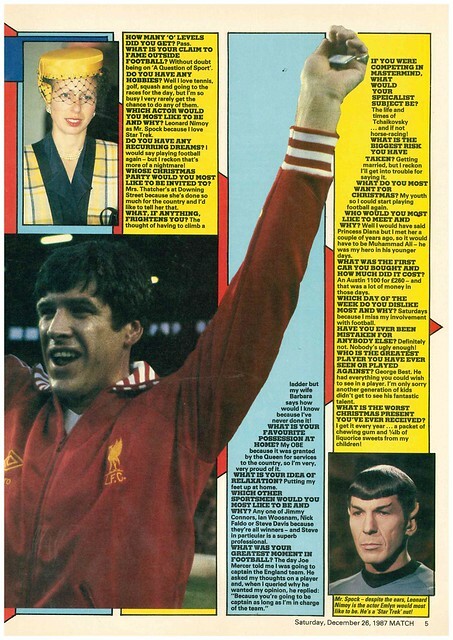 Emlyn Hughes gets asked whose Christmas party he would like to be invited to, and replies Margaret Thatcher so he could tell her that she has done so much for the country. 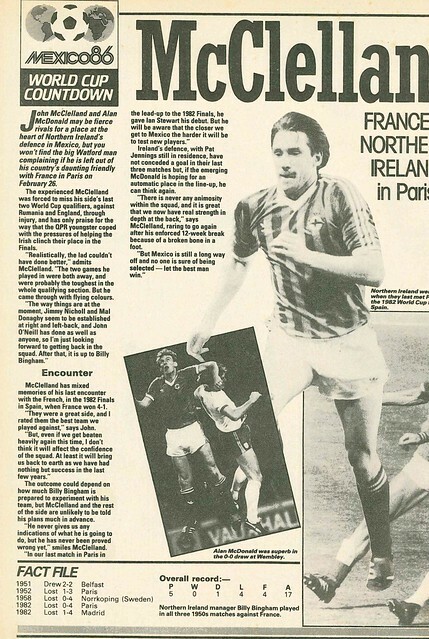 Paul McStay is doing just that at Celtic, committing his future to the club for the next five years after admitting he did consider leaving to play in English football. 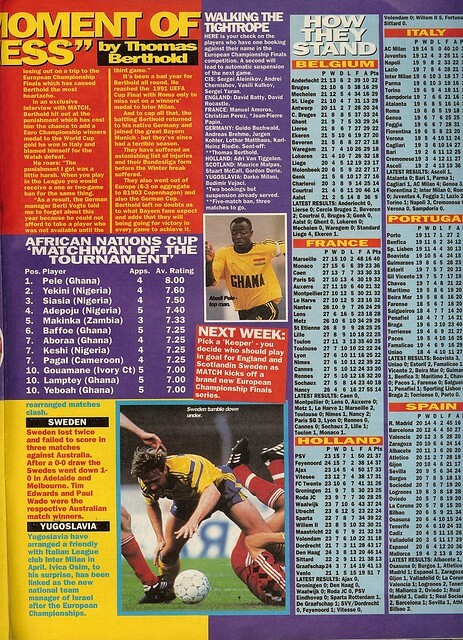 The draw for the 1990 World Cup Qualifiers has been made, and Match previews the chances of the four home nations. 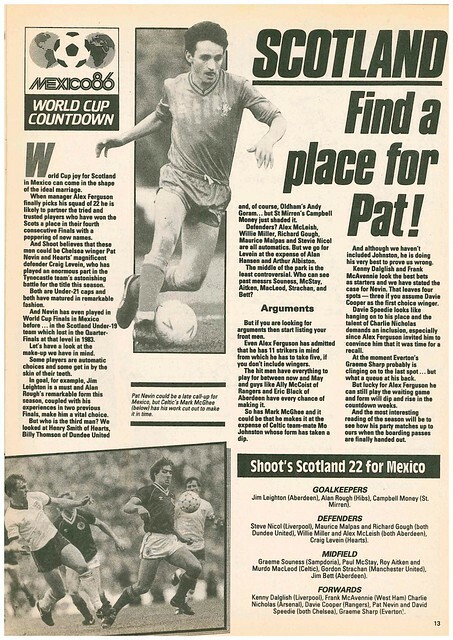 Davie Cooper uses his column to look back at Rangers title in in 1987, and plugs his own autobiography for anyone wanting ideas for a Christmas present. 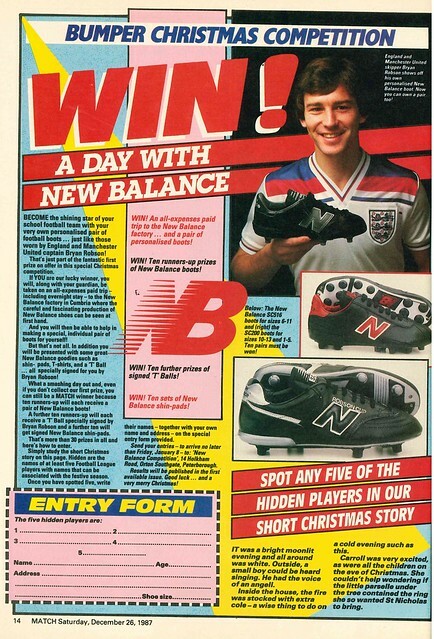 In competitions, you could win a trip to the New Balance factory in Cumbria to see how football boots are made, and some signed Bryan Robson goodies. 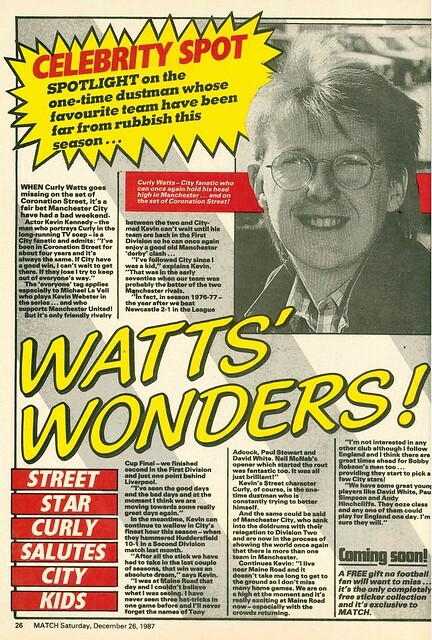 Match does a feature on Kevin Kennedy, AKA Curly Watts from Coronation Street about his love of Manchester City. 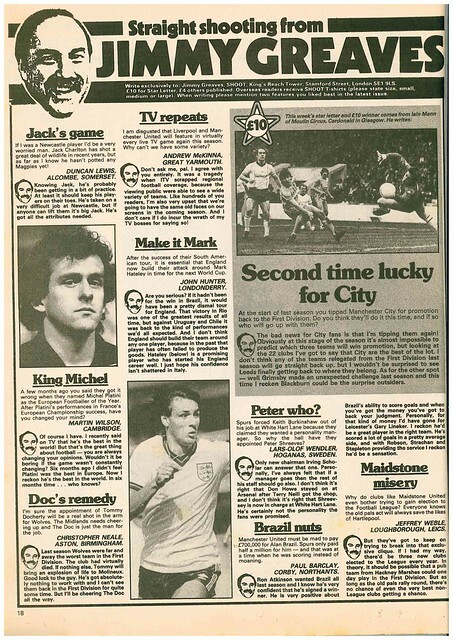 With Liverpool unbeaten and looking certain to win the title, Match does an interview with former manager Bob Paisley, who describes this team as the most talented of his 40 year association with the club. 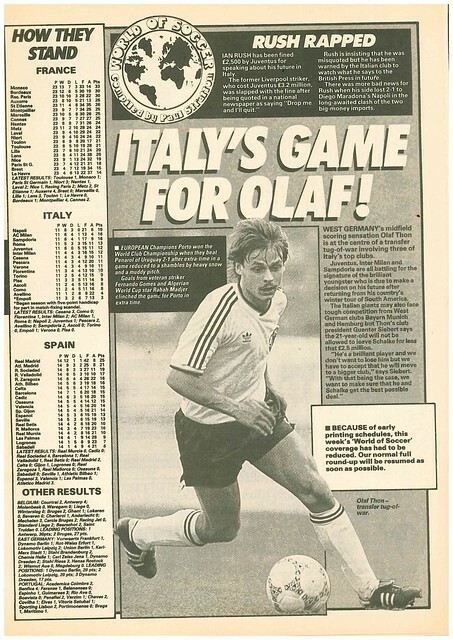 In foreign news, West German midielder Olaf Thon is subject to a transfer battle in Italy, with Juventus, Inter Milan and Sampdoria all wanting to sign him. 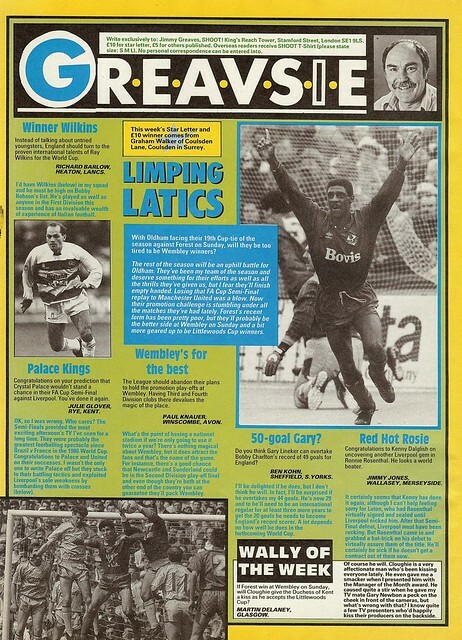 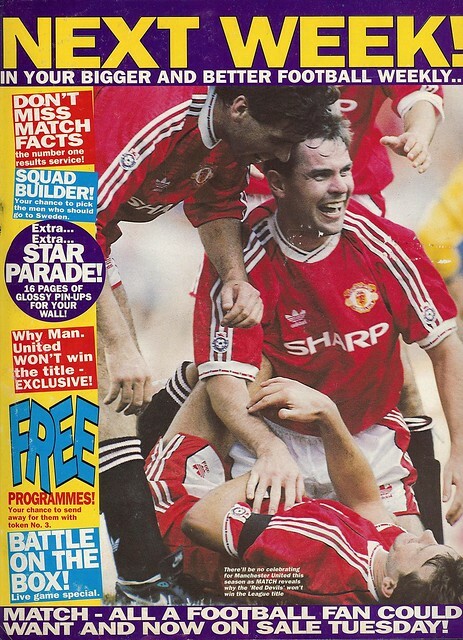 The magazine ends with a poster of Nottingham Forest players celebrating beating Manchester United in an indoor 6 a side tournament. 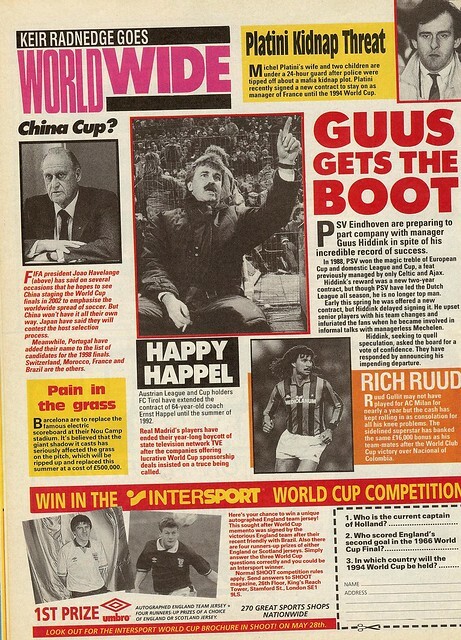 The 1984-1985 season is about to start, and it’s Mark Hughes, billed as “one of the young hopefuls trying to break into the team at Old Trafford next season” who is the cover star of Shoot. 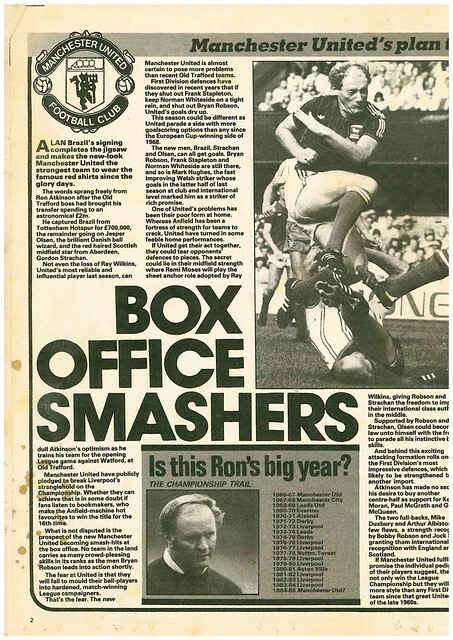 Shoot gives United a double page spread, saying they have the potential to be England’s biggest box office attraction, due to the number of attacking players in their squad. 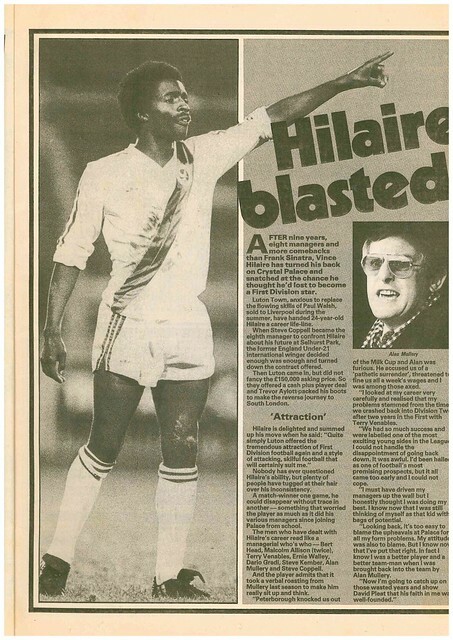 Vince Hilare gets a full page profile, after being blasted for leaving Crystal Palace for Luton Town, citing the lure of top flight football and Luton’s attacking style of play as the reason for his move. 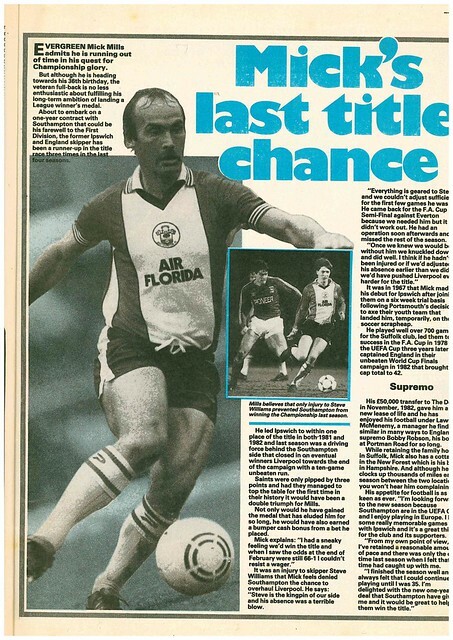 Another player on the move is Mick Mills, who has left Ipswich for Southampton. 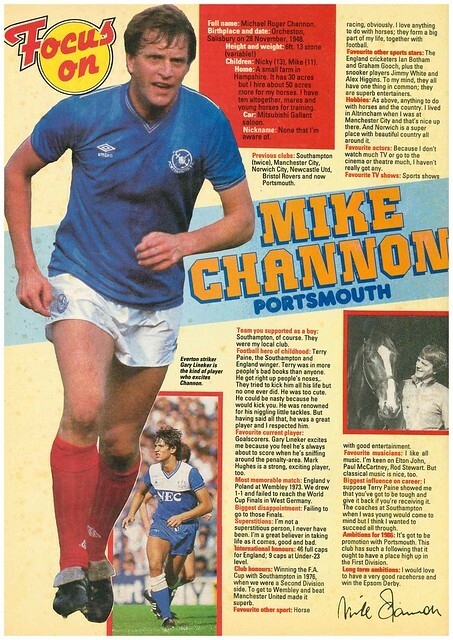 At the age of 36, he feels this is his last chance to win the title, having gone close with Ipswich in 1981 and 1982. 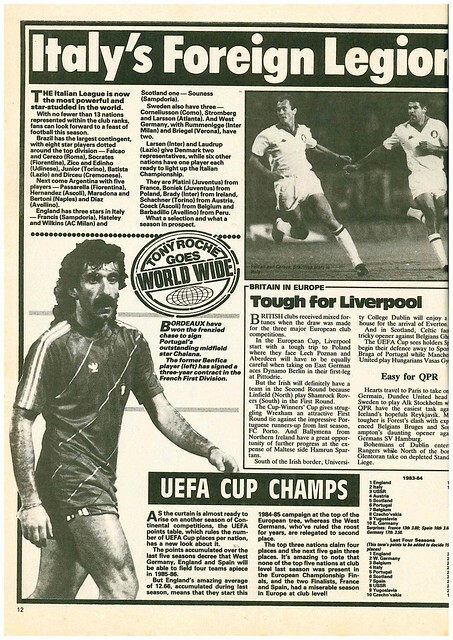 European draws have thrown up trips behind the Iron Curtain for Liverpool and Aberdeen in the European Cup, as well as a Northern Ireland v Republic Of Ireland clash between Linfield and Shamrock Rovers. 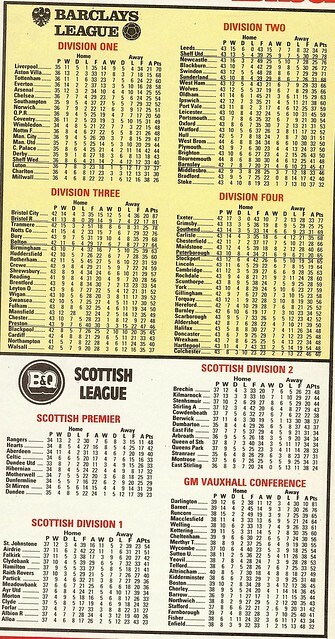 The UEFA Table is used to allocate UEFA Cup places based on results, with England top ahead of Italy and USSR. 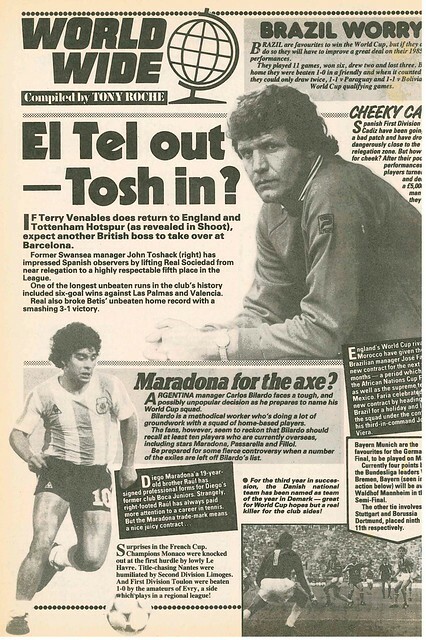 Shoot does a double page feature on new Barcelona manager Terry Venables, where he describes the job as the biggest test of his career. 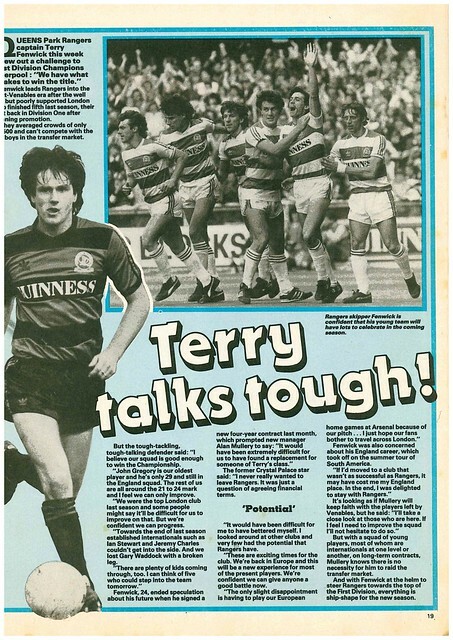 Venables old club QPR are getting used to life without him, but Terry Fenwick predicts a title challenge under new manager Alan Mullery. 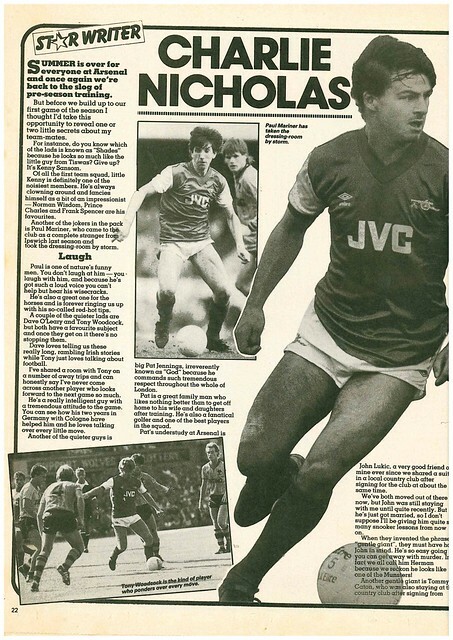 Charlie Nicholas reveals in his column that Kenny Sansom fancies himself as an impressionist, with Norman Wisdom, Frank Spencer and Prince Charles his favourites. 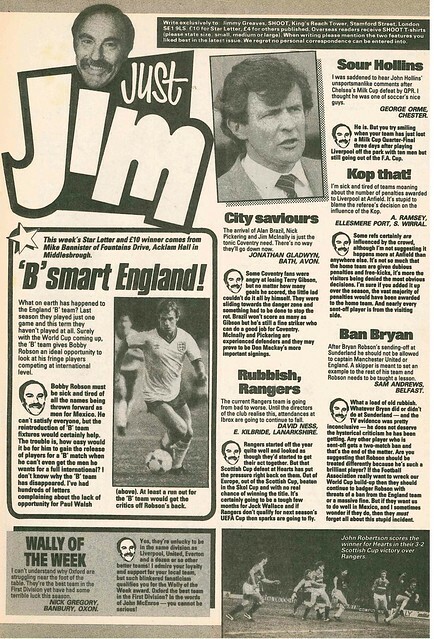 Shoot looks at he the lack of job security for managers in Scotland, with 20 of the 38 league clubs changing manager between the summers of 1983 and 1984. 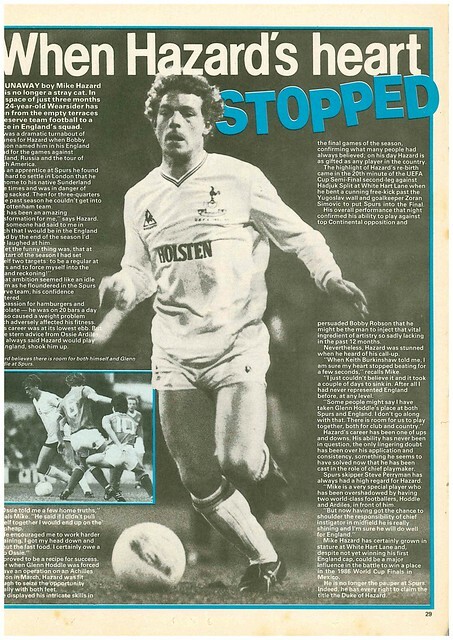 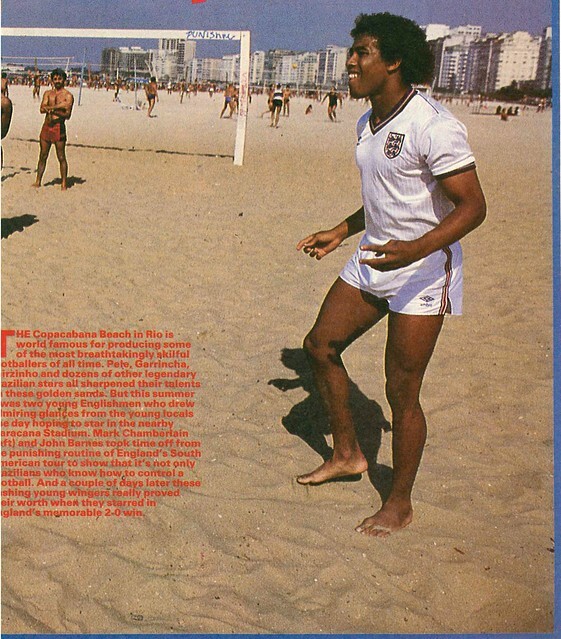 Mike Hazard gets a full page feature, having overcome an addiction to chocolate and hamburgers to get a place in the England squad. 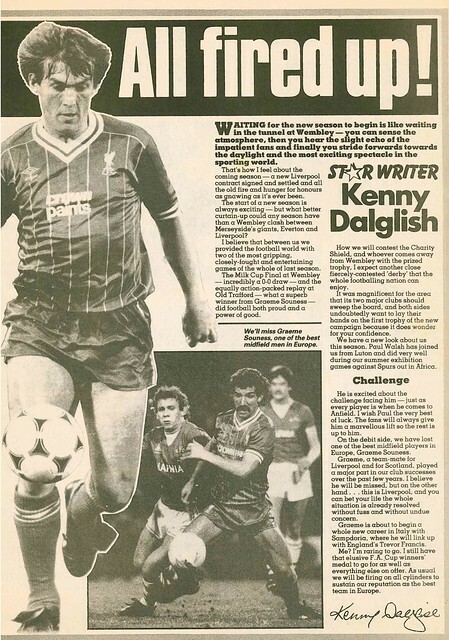 Kenny Dalglish writes about his excitement of the forthcoming season, as Liverpool face Everton in the Charity Shield at Wembley. 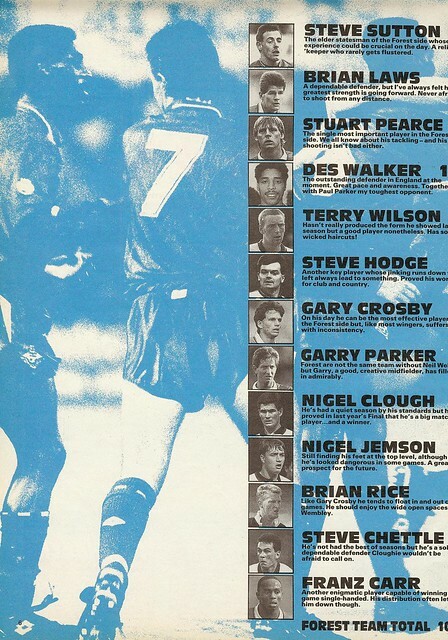 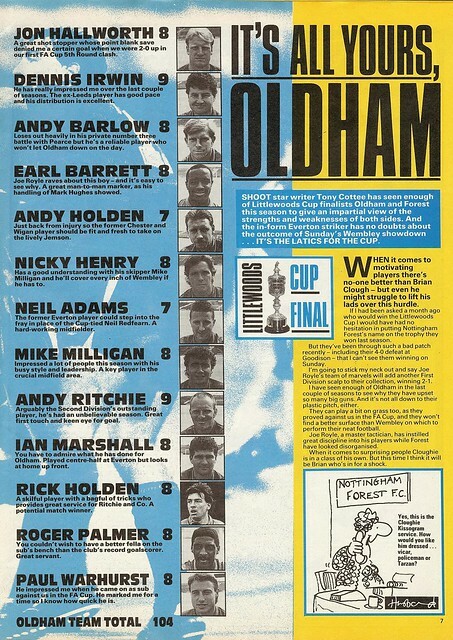 The two sides had met earlier in the year in the League Cup Final, which Liverpool won the replay 1-0 at Maine Road, though Dalglish incorrectly says the game was at Old Trafford. 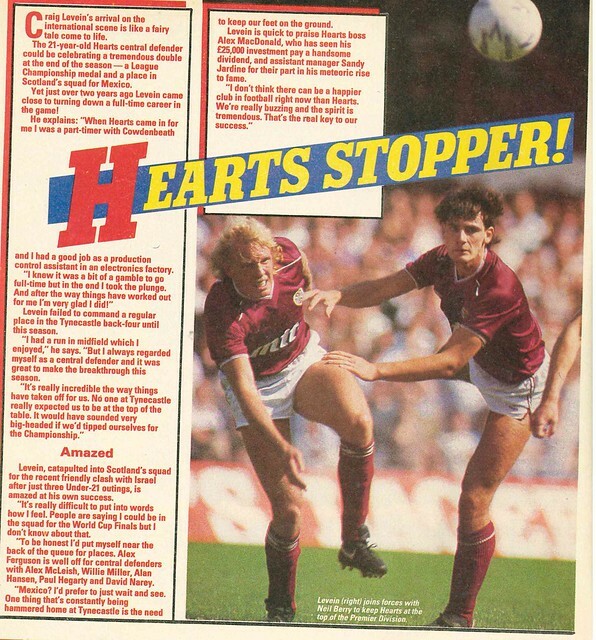 In news, West Ham are looking to replace Frank Lampard Snr with Colin Gibson from Aston Villa, Liverpool have been told that Celtic won’t sell Paul McStay to them, and Billy Bingham says he have to rethink his tactics for away games after Northern Ireland’s defeat to Finland in their opening World Cup Qualifier. 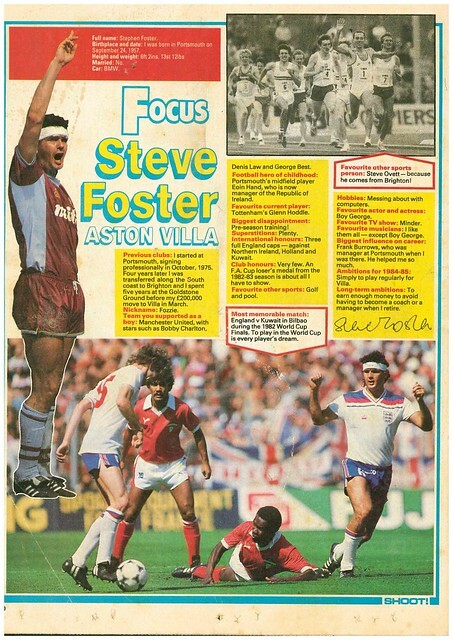 Steve Foster is this week’s “Focus On ….” subject, where he reveals he likes all music, except Boy George. 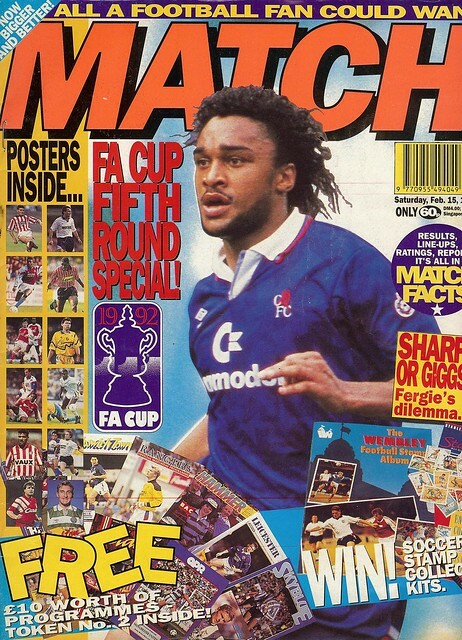 In this edition, it’s a special edition ahead of the 5th Round of the FA Cup, with Chelsea’s Paul Elliott the cover star. 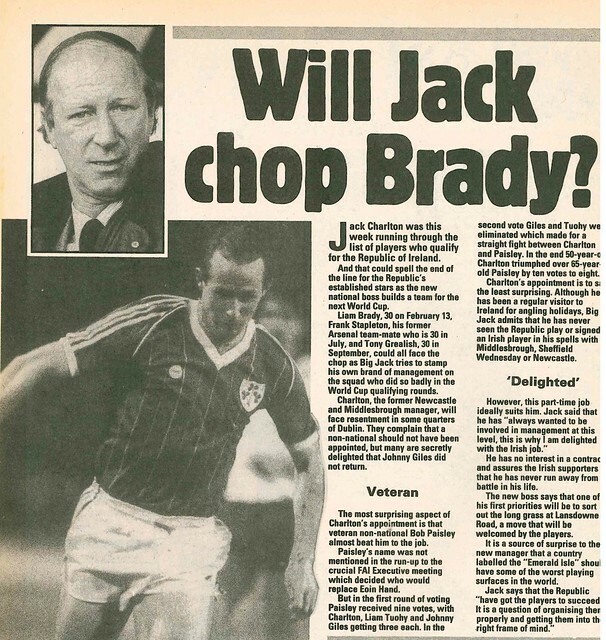 Though, as the poll didn’t include Martin McGaughey, I declare it to be flawed. 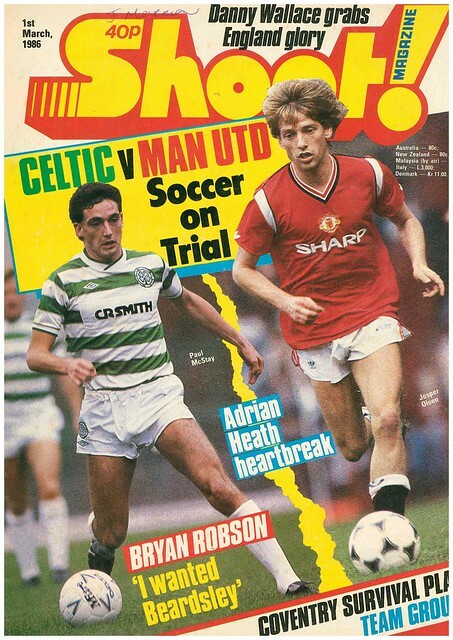 A double page spread is dedicated to asking top flight right-backs who is better, Lee Sharpe or Ryan Giggs? 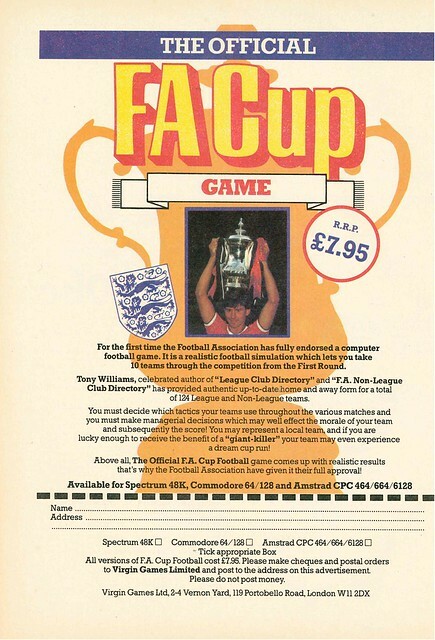 The result is a draw, with Norwich City’s Welsh international Dave Philips unsurprisingly voting for his fellow countryman Giggs. 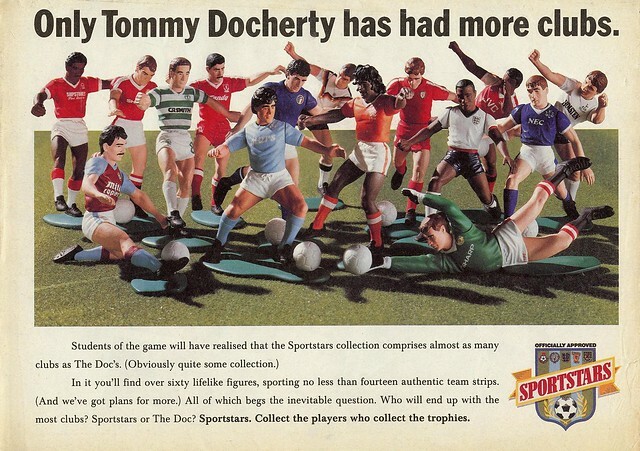 In rumours which look silly now : Blackburn Rovers want to sign Danny Wallace, Sampdoria want to sign Paul McStay, Crystal Palace want to sign Teddy Sheringham, and Torino want to sign Niall Quinn. 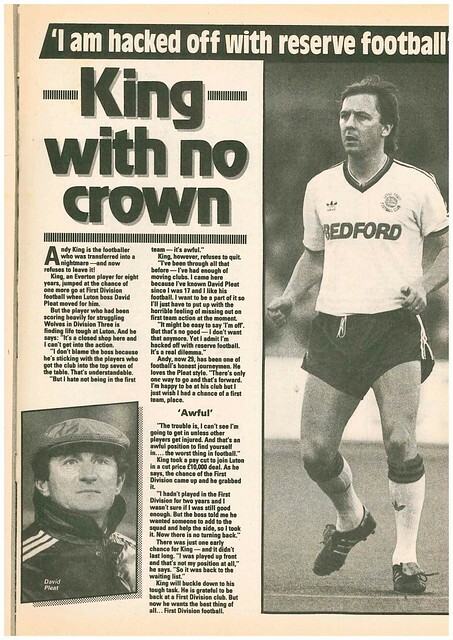 In actual news, unknown Frenchman Eric Cantona rejects the offer of an extended trial at Sheffield Wednesday to sign for Leeds United instead. 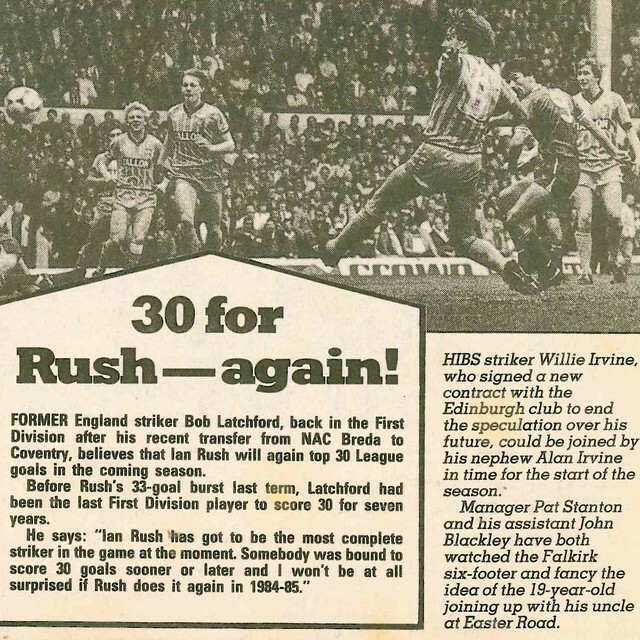 He didn’t stay at Elland Road for very long. 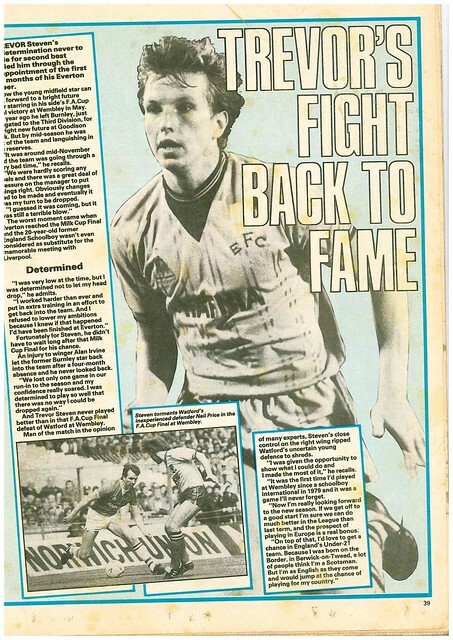 There’s an exclusive interview with Thomas Berthold, whose 5 match ban for violent conduct against Wales would see him miss out on the whole of Euro 92.